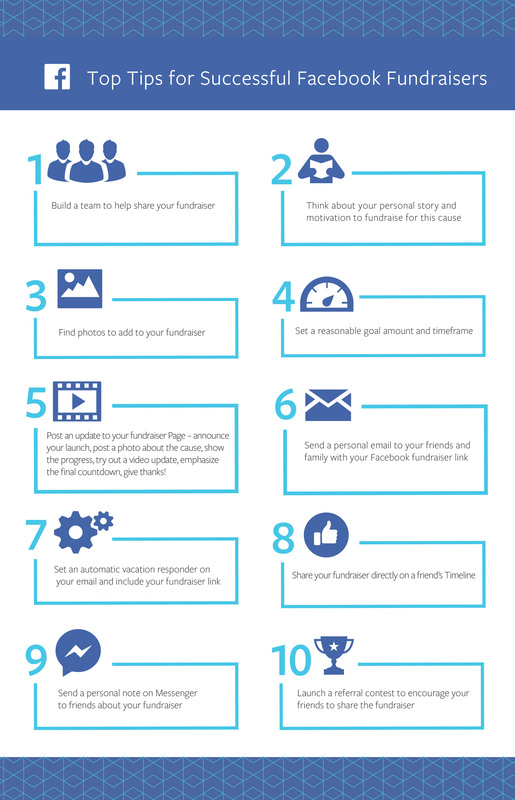 We prepared some statistics and graphics to help you create your fundraiser content. 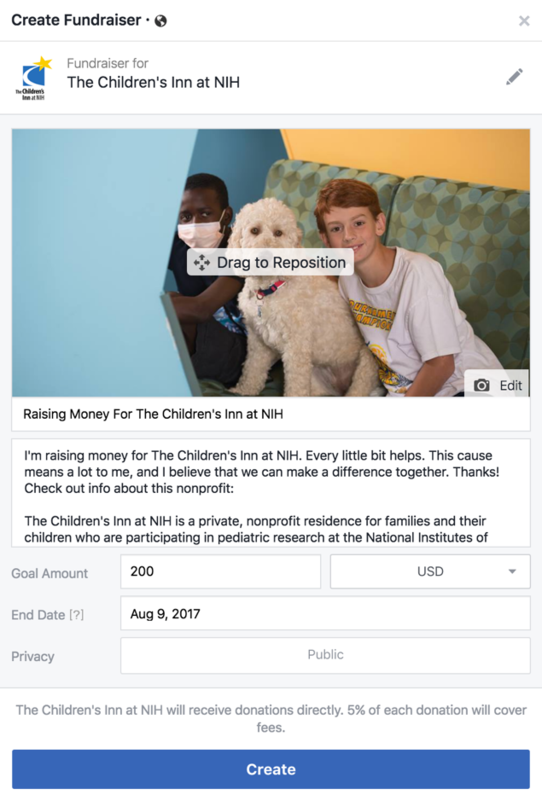 Facebook fundraisers are a quick way for people to donate to The Inn without leaving Facebook. You can launch a fundraiser to celebrate your birthday or an upcoming event. 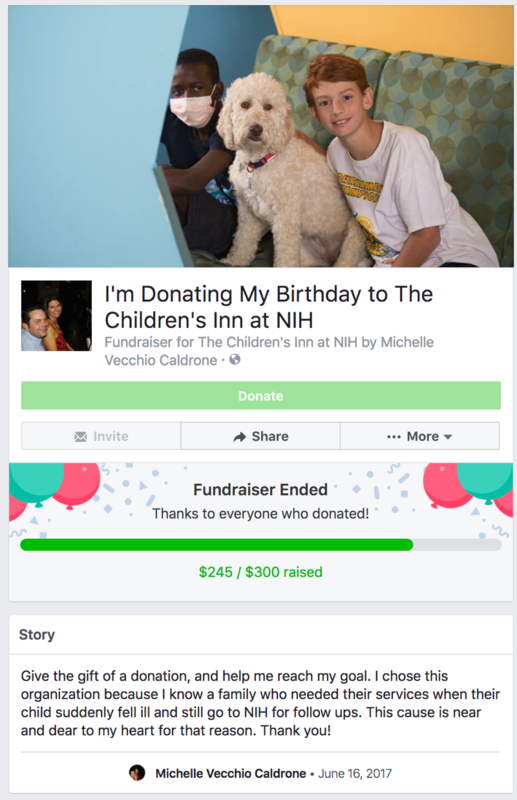 See how one supporter recently donated her birthday to The Inn! A single ask can go a long way. 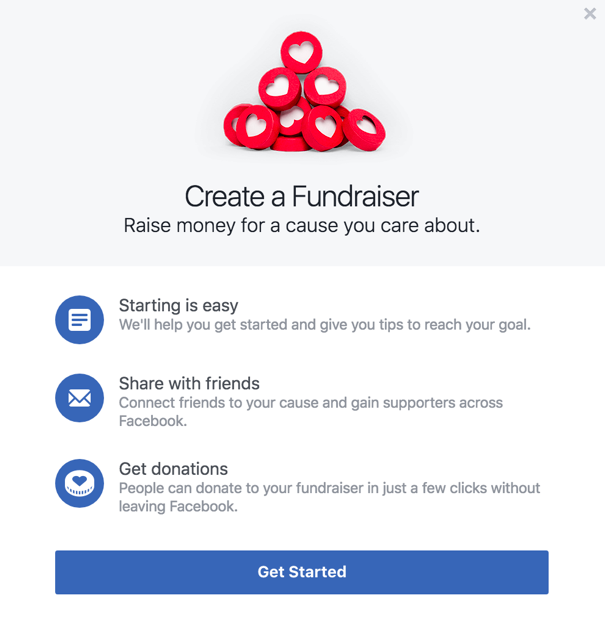 It’s easy to create a fundraiser, share it with friends and reach your goal. Your support can make a difference for sick children and their families staying at The Inn. Thank you!